If you've read my series on body fat testing, you'll know that the accuracy of body fat testing methods is not as high as many people think. While these methods do reasonably well when looking at groups of people, they don't do as well when looking at individuals. In fact, some methods can be so far off on an individual basis, that you would be better off simply using things like waist size and the mirror to assess your progress. Bioelectrical impedance (BIA) and skinfolds are popular techniques for assessing body composition. I have written about BIA before, and have shown that it can be very inaccurate both as a snapshot of your body fat percentage, and for tracking change over time. I have also discussed skinfold accuracy in the past. Two recent studies published in the Journal of Strength and Conditioning Research provide further evidence as to the inaccuracy of BIA and skinfolds on an individual level. How accurate are a set of BIA equations and BMI equations for estimating body fat percentage, when compared to the gold standard 4-compartment model (which I've discussed in the past)? BIA and BMI can be reasonable methods for estimating body composition in groups of young, healthy people, and have similar error rates when looking at groups. For individuals, BMI has unacceptably high error rates for estimating body composition, but skinfolds and BIA are not much better. 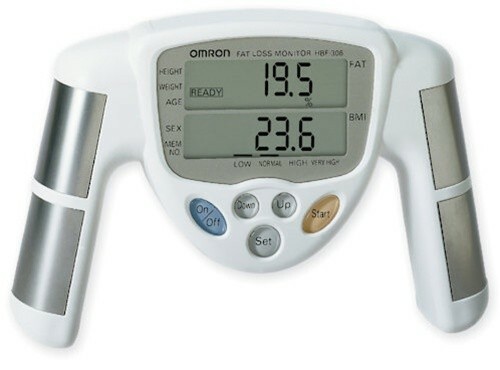 For example, BIA could tell you your body fat % is 20% when in could be as low as 9.9% or as high as 26.5%. Thus, take the body fat % number you get with these techniques with a grain of salt. If you are going to use skinfolds or BIA for tracking change over time, make sure the change you expect to see is larger than the error rate of the device. Since the individual error rates are high for these methods, you should take very long periods of time between measurements. Don't expect these methods to accurately detect a drop in your body fat percentage from 23% to 20%. You would want anywhere from 5-10% drops or more. The best way to assess progress is the mirror, and measurements such as waist circumference. Skinfolds can also be used, but ignore the body fat percentage and just look for decreases in skinfold thickness. Make sure you standardized the measurements as much as possible (same technician, same conditions, etc.). What do you think about the US Navy Seals body fat calculation method?